I’ve got my first rundown of picks for next year’s Oscar and Annie nominees. I’ll go into more detail next month, but for now, here’s the more or less sight-unseen super early edition. Last year, there were four nominees that I could argue with myself were going to win it, and Rio. That can’t be said about this year. It was terrible for animated movies in general, which is the lifeblood of this category at the Ursa Majors. What we ended up with is a category that only has one movie that was nominated for both the Ursa Major and the Oscar Best Animated Feature after last year’s three movies in common, though lone live-action representative Ted managed to squeak into the Oscars with a Best Song nomination. Though last year's race left many decent movies out of the running in the category, this year, well, I already said it. I suppose Hotel Transylvania would have been a decent alternative; I at least liked it in a guilty pleasure sort of way. Less surprising in its lack of nomination considering that it never got on board the Recommended List is the movie that should have won the Oscar, Wreck-It Ralph. It is a likeable movie, and it featured anthropomorphic video game sprites, which fit under the Wall-E clause, I guess you could argue; I’m kind of shocked no one did. With the weak field, it also would've been nice to see works like The Rabbi’s Cat, Adventures in Zambezia or The Wolf Children Ame and Yuki sneak in, but alas. Oh, well, enough about the losers; let’s look at the potential winners. 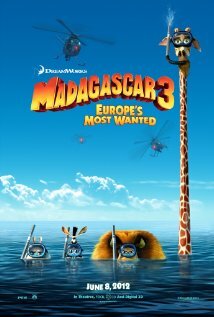 Right now, this is the only movie I see competing for the win with Madagascar 3. 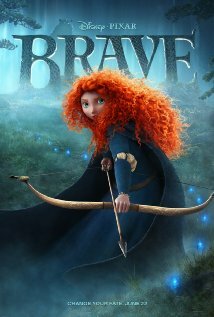 I mentioned in an earlier column that Pixar usually must feature a furry lead for it to win; Brave is an unusual case. Merida, the main character, is not furry, though her accidentally furry mother, while a supporting character, is the main focus of the story. While Up featured the talking dog character Doug in a supporting role, it was not a movie about the lead characters discovering a talking dog; it was just something that happened along the way, so it didn’t win the Ursa Major (though, like it was going to win anyway; this is maybe a stupid point to make). In Brave, the lead is non-furry, but it is the story of how said non-furry lead once turned her mother into a bear, which is a furry story. So, it could win. I think most of the trashing I took for trashing the movie (it’s mediocre at best, guys) was directed from over-defensive Pixar fans who need to lay off the Google instead of actual furries; I predict it will be an obvious second after the votes are revealed, but I still don’t think it has the win. Though, that could just lead to a situation where this piece of … wholesome family entertainment upsets me twice. Should be a clear second, but probably isn’t, simply because — well, I don’t know why. It is better than Brave. And, for that matter, Frankenweenie and ParaNorman. It is by no stretch of the imagination a great movie, and you might even be stretching to call it good, but it was at least entertaining. If you like this movie, vote for it. You’re not being stupid. At least it is a funny animal movie, which is about as furry as you can get. 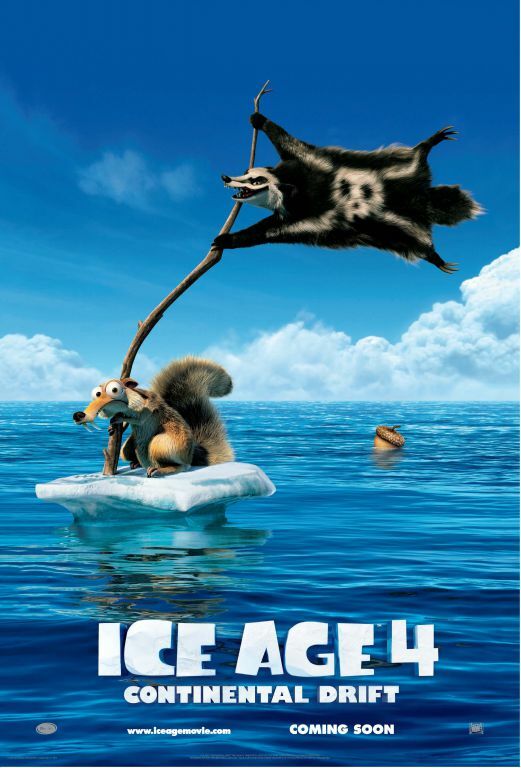 Ice Age was never going to win critics’ awards or Oscars because it is the fourth installation of a movie franchise that makes a lot of money by being entertaining first, “important” second. And it made a lot of money; it became the highest grossing animated movie of last year (Brave took first in America, but it was third worldwide after Ice Age 4 and Madagascar 3). That said, the franchise has a spotty history at the Ursa Majors; the last movie wasn’t even nominated. Hands down favorite to win, unless pretension rears its ugly head. That’s why Brave might win, and why it won at the Oscars, by the by. See, though this is an award voted on by anyone, you don’t pick the “lowest common denominator” choice, which this movie certainly looks like it could be. Because people know “lowest common denominator” is a bad thing; people don’t say “lowest common denominator” as a compliment, you know. So, sometimes you have to look for the second lowest common denominator. Puss in Boots versus Kung Fu Panda 2 is a good example. That said, though it lost to Ice Age 4 at the box office, it still beat its most likely competitor, Brave (seriously, coming in as third highest grossing animated movie for Pixar means Brave might as well have flopped). All previous Madagascar movies have been nominated, unlike Ice Age. Plus, DreamWorks Animation has won the last two years running with Kung Fu Panda 2 and How to Train Your Dragon. Oh, and speaking of “lowest common denominator,” it was also the only movie out this year to pass the fchan /toon/ board test (no link there, though it was a very short lived thread anyway). On the other hand, I honestly believe it is the most deserving nominee this year, which may in fact have doomed it; my choice never wins! Well, how the mighty have fallen. When the trailer for this thing came out, it was a thing of beauty. 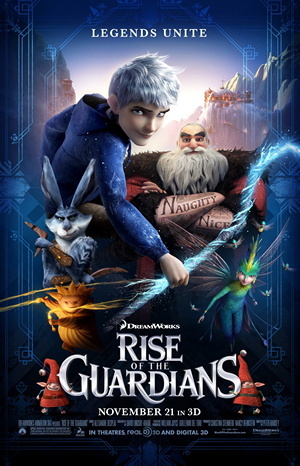 There was no way this was not going to sweep the Annie, the Oscar and, well, it would probably not win the Ursa Major because it would be so great that furries wouldn’t get it, and besides, there was just the one furry character in a supporting role, and it wasn’t a story about the finding of the Easter Bunny, though the rules about Pixar haven't always applied to DreamWorks Animation in the past. Then, I actually sat down to watch the movie, and, uh, well … hmmm. So that sucked. The Easter Bunny has a great character design, I’ll give it that. I guess that’s worth a nomination. Doubt even the biggest bunny fans will think it’s worth a win, though. An interesting movie, but what made it a bit of a cultural touchstone for the year will probably be the same thing that turns furries off. Scroll down and you’ll see seven nominations for this movie in the MTV Movie Awards; probably not many furries’ favorite film awards. It appeals to the sort of “bro” community that most furries are fast to distance themselves from. I submitted the review for this movie and Brave on the same night; I mentioned in the first paragraph of my review of this movie I was biased against it, yet no one shouted at me for being mean to Ted. Leads me to believe that, cultural touchstone or not, no one cares much for this sort of thing in the furry fandom, so probably not a big player here. Either that, or potheads have more of a life and/or sense of humor than Pixar fans.